Working at height without any rope access skills can be harmful for the workers and indeed a number of cases has been seen in the last few years. To reduce the increasing accidents or avoid the incidents, various large companies, including Oil & Gas company are working with rope access workers to complete the various tasks in a short time. A proper training in rope access helps individuals to work confidently at height. Whether it’s the maintenance of high rise building, work at height in Oil & Gas or construction companies, rope access is by far the safest and more effective method to complete the task. Furthermore, there are various training centers across the country that provide industry-specific as well as career-oriented rope access training to the individuals or workers. The demand of rope access is everywhere among the large or small industries as you can make your in this fast growing segment. Working at height will give you a peace of mind. The benefit of working at height is you will be fit physically. Whether it is a high rise building or climbing on the mountain, if you are physically fit, then you will not be afraid to work at the height. Working at height will increase the effects of gravity on the body and make you able to work effectively at height. Rope access training is known for its excellent safety record as working at height with proper access skills will be secured and safe. By working with trained rope access workers, the industries have reduced the numbers of global fatalities and casualties, and it is continually improving on the basis of new safety concerns. Industrial rope access trainers provide a basic method of work to the other workers that is extremely safe, flexible and efficient. By taking more rope access skills, you can work confidently to give a number of positive results without any casualties. By hiring trained rope access workers, many large construction companies have transformed their ways of working along with quality results. Following the IRATA regulations, the training institutes provide high standard training to the individuals with a great career opportunity. This training course helps the individuals to make their position among the various large industries. 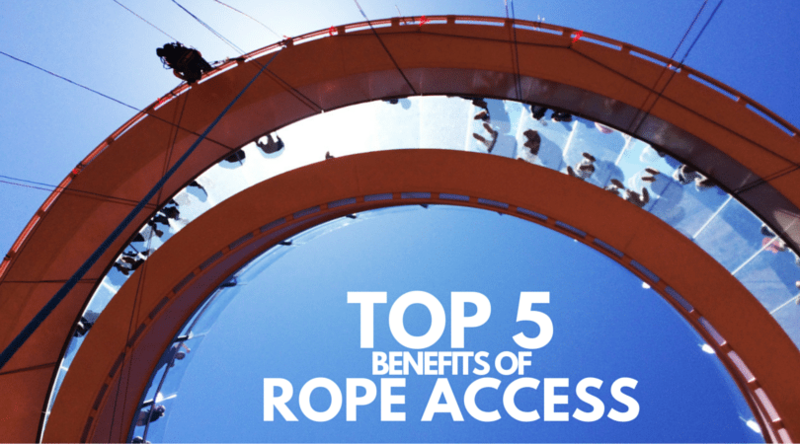 Rope access workers have been beneficial for the companies. The various tasks can be performed in real time without spending much money. Moreover, every large company around the world are using less equipment, less setup time and less manpower to perform rope access works.